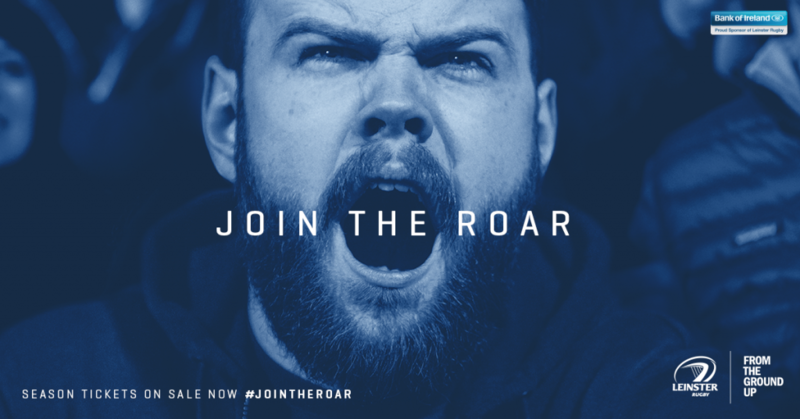 Leinster Rugby | Over 11,000 supporters have joined the roar! Over 11,000 supporters have joined the roar! In the week when the Leinster Rugby squad returned for pre-season training, Leinster supporters have also been preparing for the new campaign by snapping up their 2017/18 Season Tickets. Over 11,000 supporters have now committed to #JoinTheRoar next season, securing their place at Leinster’s home games in the Guinness PRO12 and European Rugby Champions Cup. Leinster Rugby will face Premiership champions Exeter Chiefs, Montpellier and Glasgow Warriors in next season’s Champions Cup. To guarantee your seat at all three home games in the Champions Cup, get your Season Ticket from leinsterseasontickets.ie.